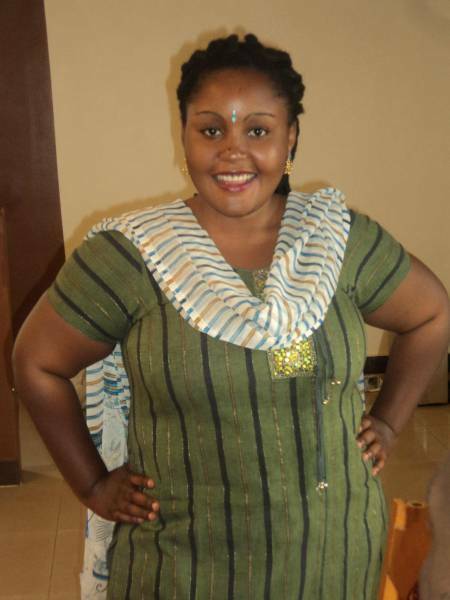 Bwanika Esther started her professional acting career in the year 2011 after finishing her studies in Counselling. She has since engaged in a double pursuit of production manager and actress, laying particular emphasis on the latter. Some of the projects she has participated in include: Everyday people, a feature film directed by Moses Ray (as actress and production manager); The counsellor directed by Moses Ray (actress and production manager); The pardon by Joel; Hunted directed by Kasozi Geoffrey (still in post production – as actress and production manager); Felistus Fable directed by Dillman Dila; Ghetto directed by Kennedy Kihira; Hang Out directed by Kennedy Kihira; The Route by Jayant Maru (as production manager); K3nt & kant3 by Jayant Maru (as production manager); Saving Mugisha; Flash Theatre directed by Bwesigye; Restless Father by Wamasebu Eric (still in post production - was also a production manager); The River and the Mountain by David Cecil; The Kemigishas, a TV drama series by Urban TV directed by Didas Abaho; Fenced by Wamasebu Eric and Esther Bwanika (still in post production); The Bachwezi an ongoing project she is producing, among others.